Made in 14K white gold this plain square has a brilliant-cut diamond set in its all four corners. Four round diamonds make a pretty daisy in the center. 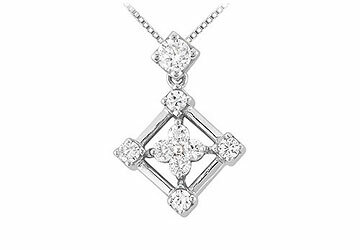 This stylish pendant has a total weight (TDW) of 0.33 ct.